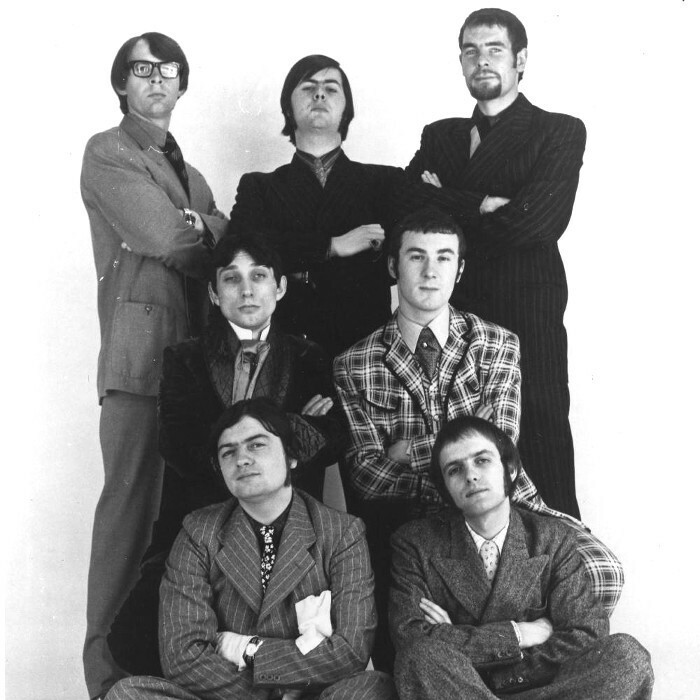 The New Vaudeville Band was a group created by songwriter Geoff Stephens in 1966 to record his novelty composition "Winchester Cathedral", a song inspired by the dance bands of the 1920s. To his surprise, the song became a huge international hit, rising to #1 in the United States. When Stephens received several requests for The New Vaudeville Band to tour he had to put together a group, since the song was recorded by studio musicians hired only for the recording session. He contacted a real group, the Bonzo Dog Doo-Dah Band, which played similar music at the time. Only Bob Kerr from that group was interested, so he left The Bonzos to help Stephens form a touring version of The New Vaudeville Band. The lead singer of the touring version of the group was Alan Klein, who was billed as 'Tristram—Seventh Earl Of Cricklewood'. The group enjoyed success for two years until the novelty wore off. Kerr then formed his own group, Bob Kerr's Whoopee Band, which continues to perform. In 1967, The New Vaudeville Band released the Finchley Central LP. Read more on Last.fm.